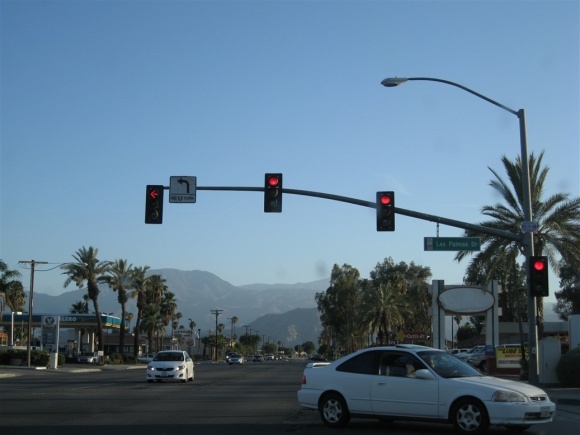 Indio, California is a city of over 80,000 people located on the eastern edge of the Coachella Valley, a sub-region of southern California’s massive Inland Empire. 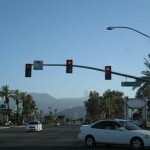 The Coachella Valley is home to nearly 600,000 residents, and also includes the famous city of Palm Springs, which is located 25 miles away from Indio on the other side of the valley. Indio is also 125 miles east of Los Angeles. Indio’s population is over 75 percent Hispanic, and this demographic has grown rapidly in recent years. Many of Indio’s residents work in either agriculture or support services for the Palm Springs resort areas. 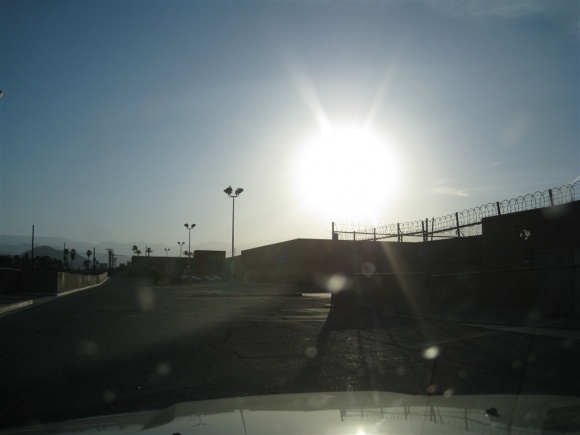 Indio is also the largest city in the Coachella Valley, having passed Palm Springs in the early 1990s, and is projected to have 130,000 residents sometime this decade. However, the recent economic bust has hurt Indio a lot, pushing the unemployment rate from 5 percent in 2006 to over 20 percent by 2009. 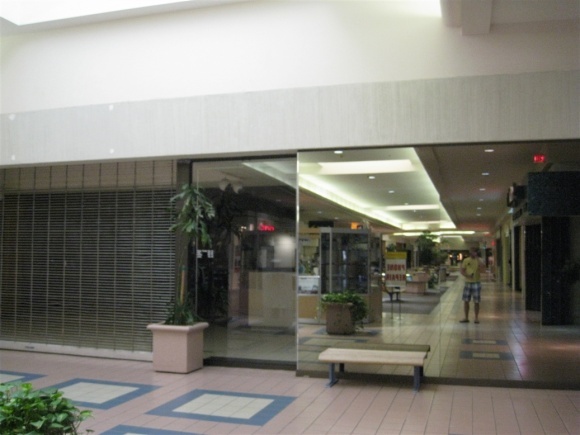 As such, many businesses – including Indio’s mall – have suffered, despite numerous renovation and expansion efforts. 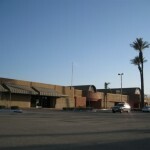 Fiesta Mall is Indio’s enclosed shopping mall, and one of three enclosed malls in the Coachella Valley. 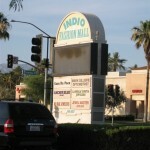 It was built in 1974 as Indio Fashion Mall, and aside from minor cosmetic updates has the same layout as it did then. 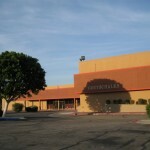 Sears and San Bernardino-based Harris were the original anchors, and a small single-level mallway connected them with only 225,000 square feet of total space. Indio was a much smaller city then, with a population under 20,000, and had a caucasian-majority demographic. 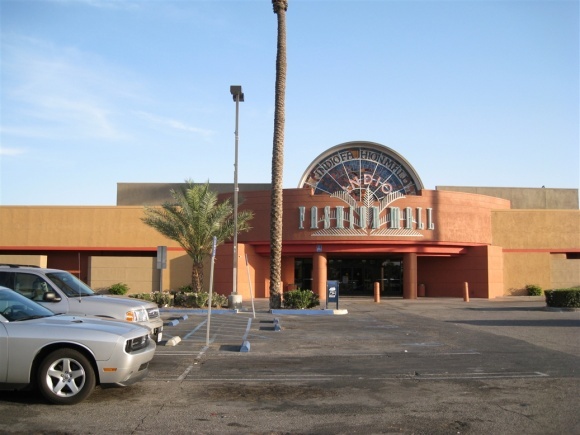 Throughout the 1980s, the demographic shift to Hispanics changed the face of Indio Fashion Mall’s offerings, and more stores catering to Hispanics popped up in the small mall. 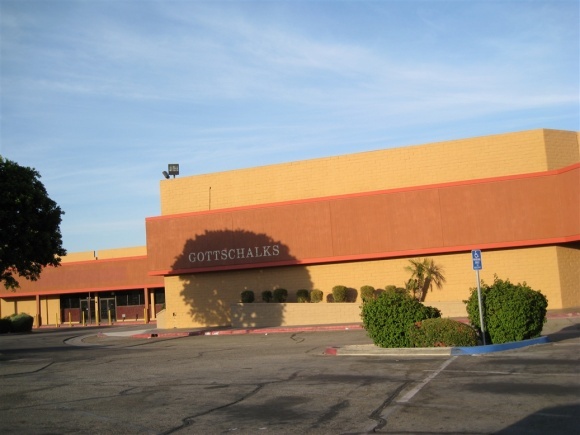 In 1988, an anchor change took place as Harris was sold to Gottschalks and became Harris-Gottschalks. By the time the 1990 census rolled around, Indio and the eastern flank of the Coachella Valley were majority-Hispanic. 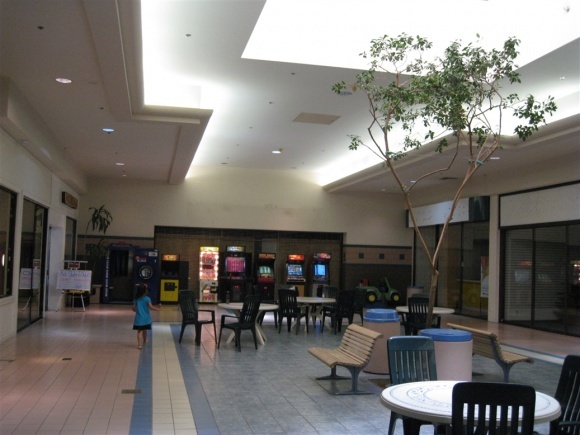 The city was also rapidly growing, adding tens of thousands of residents every few years, so the mall’s developer began to initiate a proposal to more than double the size of the mall, adding a food court and another anchor in the process. Unfortunately, though, the project was stalled during the early 1990s recession and in part to local political pressures (read: NIMBY-ism). 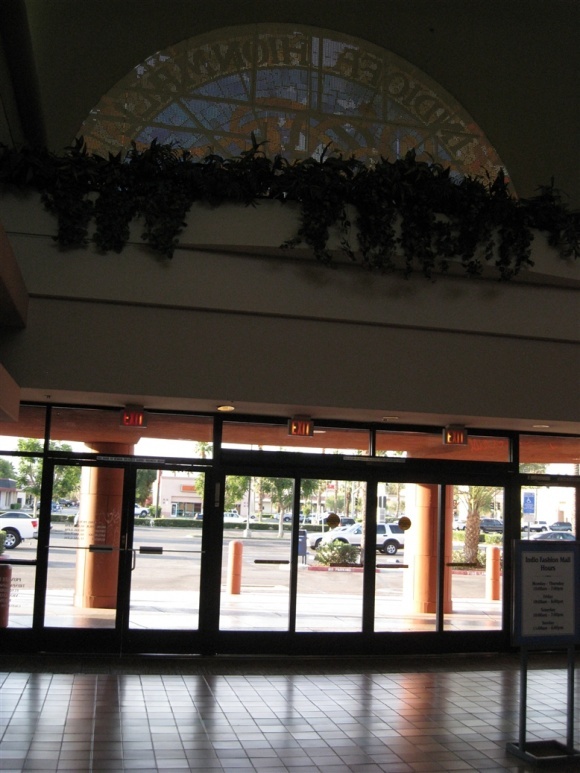 Meanwhile, the most centrally located mall in the Coachella Valley, Westfield Palm Desert, gained foothold as the Valley’s best mall – a designation that still holds true today. 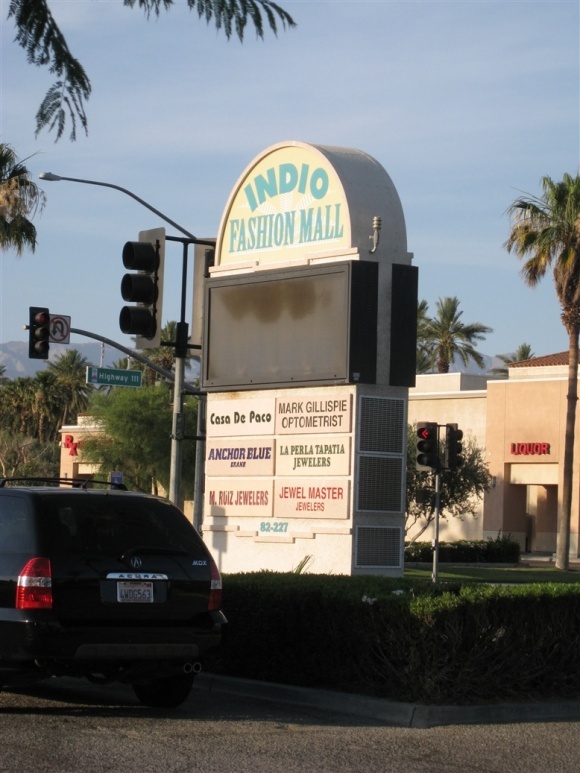 The 2000s were extremely unkind to Indio Fashion Mall. 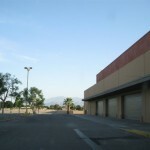 In 2003, plans emerged once again to expand and renovate the tiny center, but were slowed due to the departure of Sears in 2004 for a much larger store at Westfield Palm Desert. 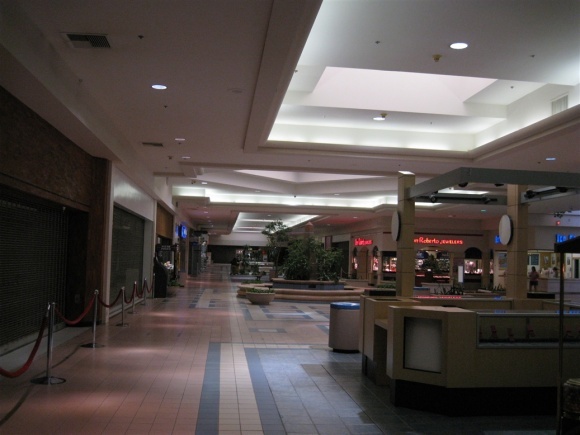 Then, during the late 2000s recession, Harris-Gottschalks closed in 2009, leaving the mall anchor-less for the first time in 35 years. 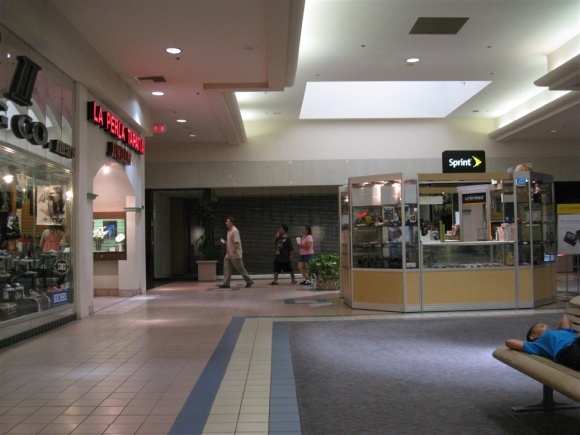 More stores began leaving in droves, leaving quite a few vacancies in the mall, as well as more mom-and-pop style stores that mostly cater to a Hispanic clientele. 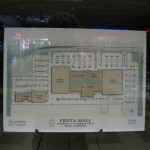 With the latest stint of decline, management decided to rename the mall from Indio Fashion Mall to Fiesta Mall and give it some cosmetic updates such as a new coat of southwestern-styled paint inside and out. The renaming was probably a wise decision, because calling this place a ‘fashion center’ is a bit misleading. 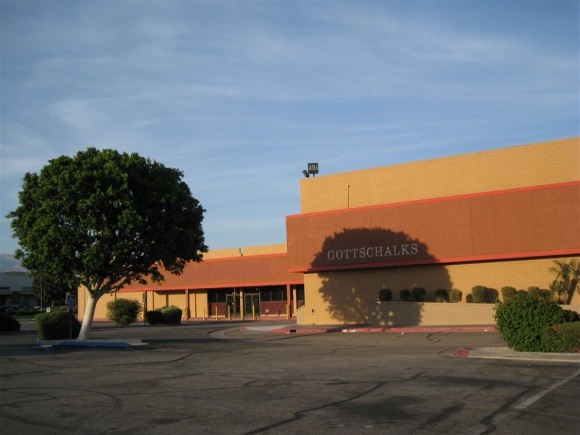 A leasing flyer indicates the mall is located at the busiest intersection in the eastern valley, with over 53,000 cars passing daily, and that one of the former anchor tenants – Gottschalks – is going to become a cinema. 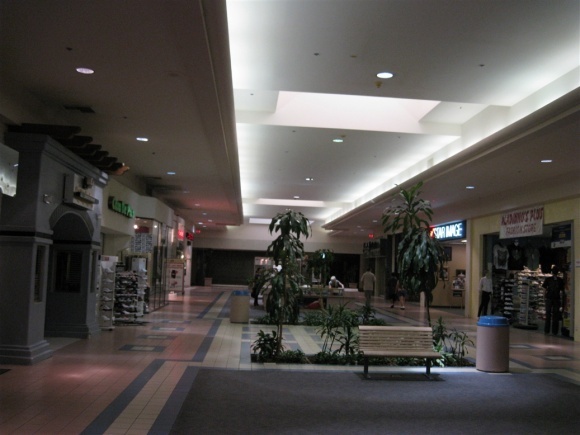 The former Sears is up for sub-dividing, and it’s possible the mall’s corridor would continue through the former store if a large enough suitor cannot be found to lease the entire space. 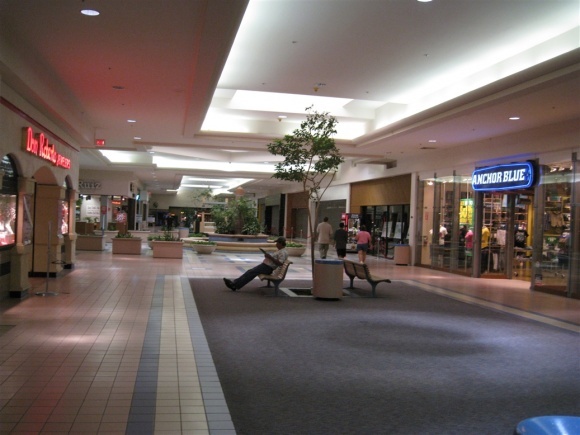 As of June 2010, the only national chain stores in the mall are Anchor Blue, GNC, and Foot Locker. 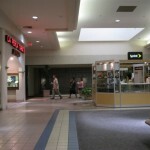 But their days may also be numbered, as the mall continues sans anchors – like a ship without a sail. 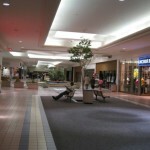 However, an aggressive marketing campaign, combined with the mall’s location and visibility, should help turn things around. 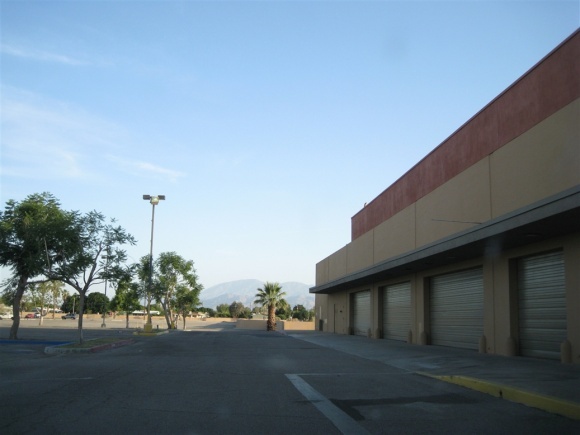 Westfield Palm Desert is 11 miles away along Highway 111, and the 100,000-plus residents in the east valley should be able to support a better mall than this. 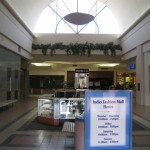 We visited Indio’s Fiesta Mall in June 2010 and took the pictures featured here. Feel free to leave your comments, questions, and anecdotes here. 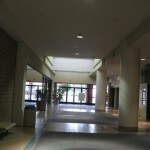 I kind of like the mall but i took one…ONE!!!! 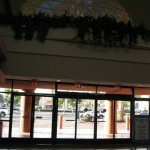 Picture of the new facade outside the mall property and some rent-a-cop was harrasing me! 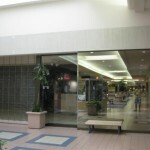 OUTSIDE MALL PROPERTY!!!! C’mon! I didn’t even use flash! Some people are wound up too tight! 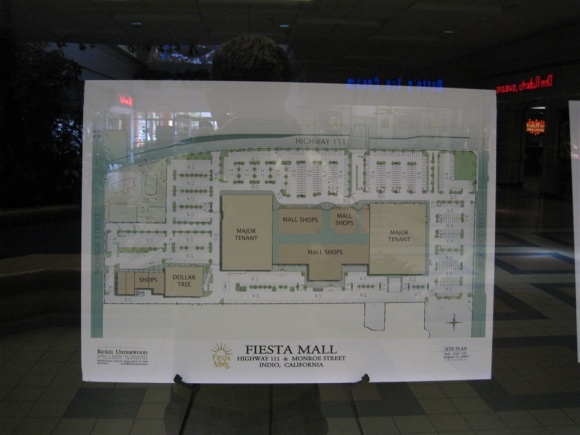 @Ed “Fiesta Mall” Field, You have to be sneakier than that. What I usually do to get outside pics is drive around the perimeter of the mall, counter-clockwise, and just snap them out the window as I drive. I’ve never been bothered doing this. 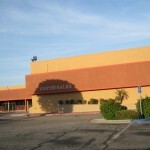 The Sears became Cardenas Market in 2006. @Ed “Meat your Match” Field, No, Cardenas Market never moved into the Sears spot. 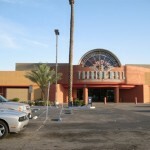 Yes, the Desert Sun did run some articles that the mall owners were considering leasing to Cardenas but at the time, city officials were against the idea, feeling it would cheapen the mall’s image even further. Personally, I also wouldn’t want a supermercado as an anchor either. 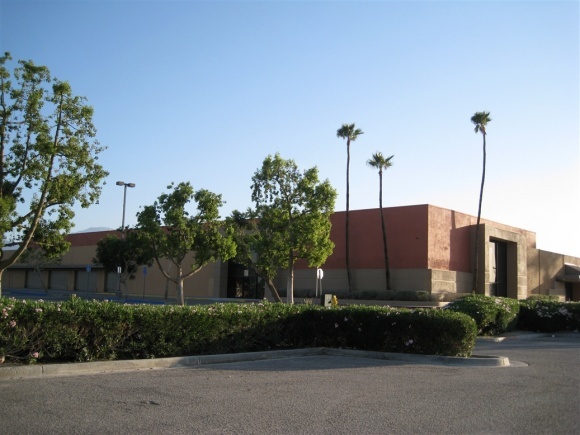 After much resistance from Indio, both officials and residents, Cardenas moved into the building that was formerly a Zody’s and some discount supermarket whose name I can’t recall right now. 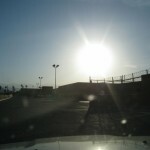 When I first arrived in Indio in the early 90’s the now Cardenas building did not exist. Across the way was a Lucky’s shopping center, then after Albertson’s bought it out it was going to be moved to a bigger location but once the building was up it was left empty for a short period of time whilst Luck’ys just shut down. Eventually the building was opened as Super Saver with all the pricing tags the same as Food4Less. I then left for a few years and when I returned Cardenas was opened. 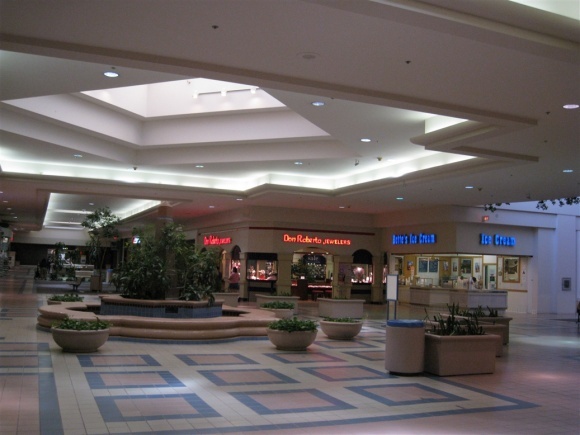 And Palm Springs Mall. It was anchored by Gottschalks as well. I forgot what else it had. 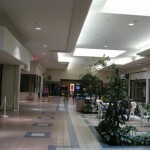 The mall outlasted the other two but may be closed as well now. 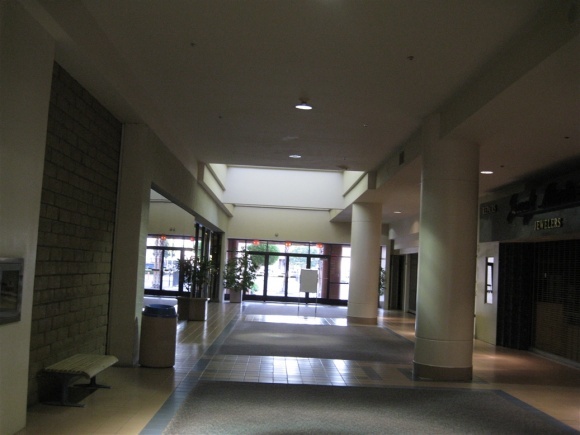 Palm Springs mall is in fact still open. Kmart I believe used to be the south anchor and later subdivided.. Gottschalks was space 8 and the college used to be a supermarket. 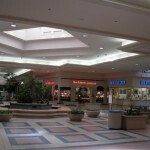 This mall is very similar to Northwest Mall in Houston. 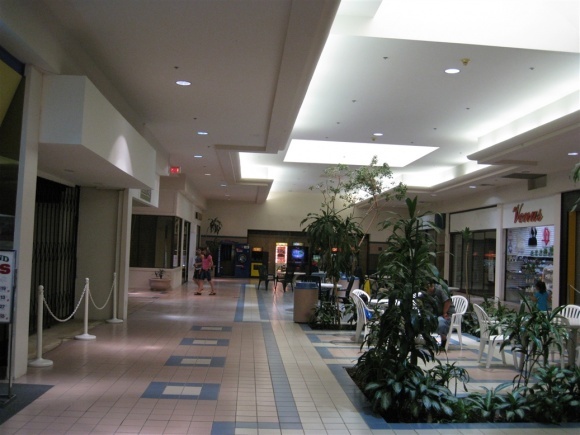 Both have small floorplans, both are without anchors, and both are located in mainly Latino populated areas of town. 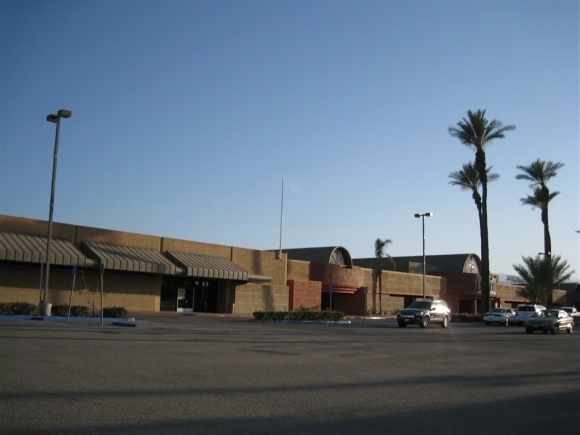 The first department store anchor to Palm Springs Mall was San Diego-based Walker-Scott in 1970 (one of two stores outside San Diego County; the other was in Orange at the City [now Block at Orange], until it was sold to May Co. in 1974). 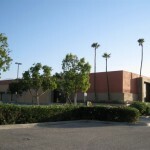 After W-S folded in 1987, Long Beach-based Buffums’ filled in, but in turn folded in 1991, then finally Gottschalks occupied the space right up to that company’s demise. 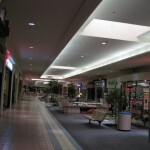 @Randy, Any idea where the Penney’s was at Palm Springs Mall? Was it where OfficeMax is now? 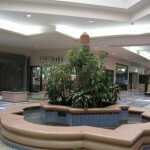 As the leasing broker for Fiesta Mall, I find your review to be objective and factual. 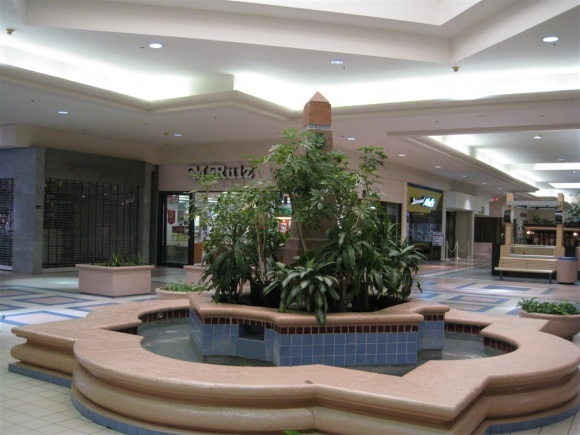 The responses in themselves are very interesting – and it is fun for a relative Coachella Valley “newcomer” like me to learn more about the history of these malls. 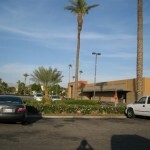 As for Fiesta Mall, a new Dollar Tree store opened in late May and it is doing very well. There are some other events that are pending, but I will be sure to contact you when the timing is more appropriate to announce those. Love your site and its name. Good Job. Yes, the demographic is mainly Hispanic based but it is farther from the truth that the Hispanic community would only like to be catered by mom-and-pop stores. 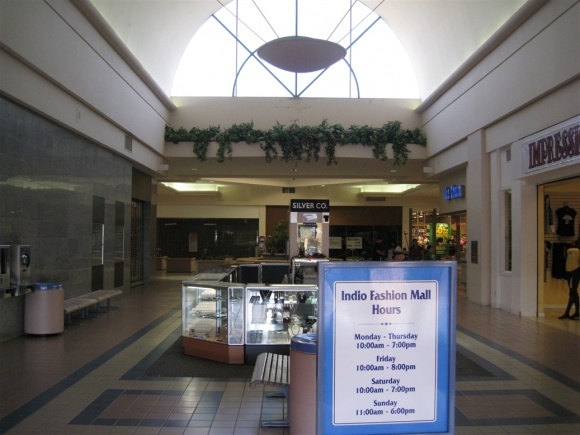 It is time Indio revamp the Mall and actually start looking at adding stores like forever 21, H&M, Papaya, Victoria Secret, Express, Charlotte Russe. Maybe even some higher end stores. 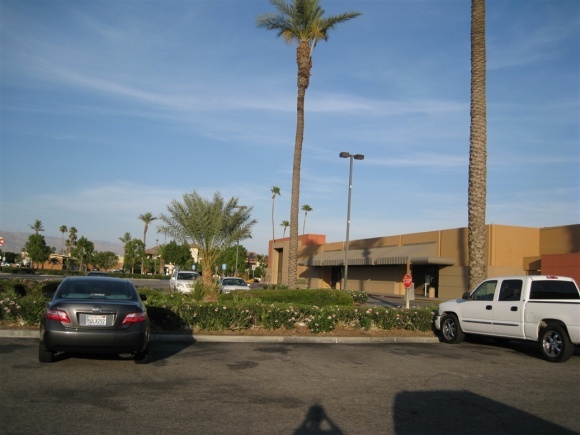 Realistically, even though surveys or Census’ states that the community may not afford it, most of the east end of the valley drive to the Palm Desert Mall, the Cabazon outlets and other places west to spend that money that could be spent in Indio! 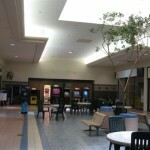 This looks like it could be a really nice local mall for local businesses and organizations to use. 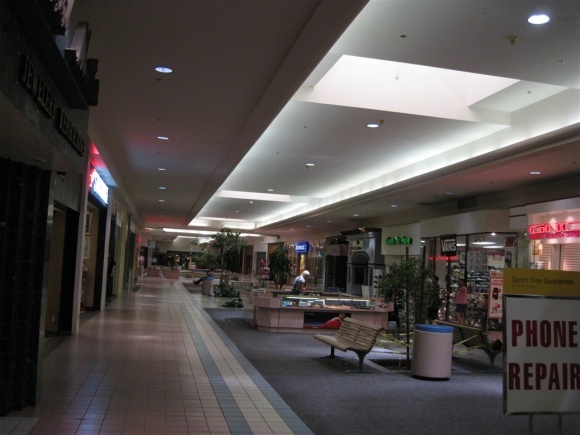 I hope the leasing people are reaching out to mom and pop businesses that could move into the mall and perhaps get a good anchor like Kohl’s or Target which would serve the demographic. 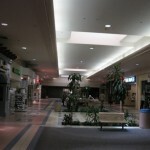 I have one simple question is this mall still open? Yep, it sure is. I was just there in February. There’s still a dozen or so local merchants inside and the entire thing is open and accessible. 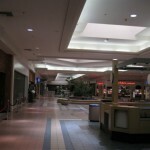 This place will not be around for to long if the emonomy keeps going the way its going,Its lost alot in the last 10 years and ive witnesed this unfold in the last 7 or so,Its just sad as of May 13th i counted almost 14 empty spaces “And counting” in this mall,if i owend this i would mostly prefer if possible is to give anyone else working inside cash in return to relocate so i can major expand this place and add a second or third story and give it the serious renovation its needed to try and reatract the buisinesses it lost and now aswell as this town so desprately needs,A Khols,skateboard shop,Volcom outlet,Macys,J.C Penny,”now is a food for less they might have a shot again”,SEARS “might or might not return to this town who knows”Target or Wall Mart”we got enough of those trust me on that”TheresMany things that can be done here just got to wait and see i guess.